If you're like me, you are still working and/or have all the day to day IRL (in real life) issues to deal with and don't have a lot of time for the pleasures of reading or keeping up with your favorite games and/or subjects. One answer to this dilemma is audio books and podcasts, and, fortunately, when it comes to Planetside 2 there is the Instant Action Podcast by Mark 'The Deringer'. If are looking to keep abreast of the latest Planetside 2 news and information, like the upcoming release of Oshur, than this is the place to be. The newest feature is the Veteran's Voice which I am really getting a kick out of. So be sure to give it a try and check it out. Looks cool, I might look into it as i'm no where close to being able to enjoy Planetside first hand. Our Extinction Server is finally here! Worlds Collide in Season 5! 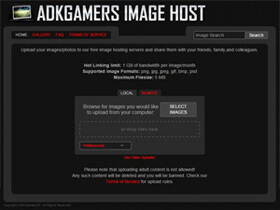 Thanks for stopping by the =ADK= Gaming Community Website! 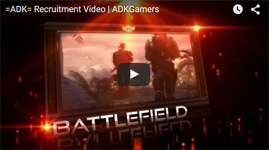 Whether you're looking for new friends to game with, or have some general gaming and tech questions. . this is the place for you! It only takes a few seconds to register, so sign up today!